If you have been looking to franchise or attended franchise expos through your research for you to land a perfect business deal, then you must have rubbed shoulders with a Franchise Disclosure Document known as FDD. Maybe you are not familiar with the document and how vital it is as you look forward to franchising. 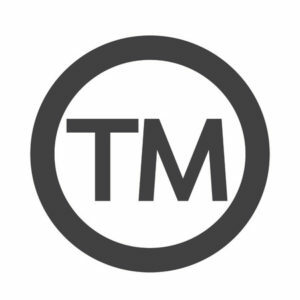 The franchise document informs the potential purchaser of the firm’s history, dealings, and parties of the franchise. The law dictates that the document contains some important details that are identified below. As a franchise owner, it is vital to understand those elements in detail. The most important part of the disclosure document is the history of the business. The history usually highlights the names and roles of the directors including their previous actions and experiences in the franchise. It tells how long the franchisor has been in business, likely competition, and any special laws that pertain to the industry, like any license or permit requirements. This will help the prospective franchisee understand the costs and risks they are likely to take on if they purchase and operate the franchise. The second section of the document contains the laws of the franchise including the directors. This section provides information on the franchise’s business law and offenses in the country. The FDD should let you know of the number of cases that have been reported in regards to the franchise. The section also allows you to understand the position of the franchise in regards to the services it offers clients. From the legal process involved in acquiring the franchise, it is essential for a franchisee to understand the terms and conditions involved with buying a franchise. Franchising may be fun and exciting, but the legal process is very complicated and challenging. Most legal matters are difficult to grasp. In fact, most people find legal means boring in nature hence the loss of interest, however, lucrative the franchise is. This article makes the processes involved easy for you to read the franchise disclosure document by availing simple to understand tips. Every document contains a set of requirements. Renewal, Termination, Repurchase, Modification and/or Transfer of the Franchise Agreement, and Dispute Resolution. This section spells out the conditions under which the franchisor may end a franchisee’s franchise and a franchisee’s obligations to the franchisor after termination. It also defines the conditions under which a franchisee can renew, sell, or assign the franchise to others. The first matters of the franchise disclosure document point out the nature of the business, its physical address, its history including the systems involved in the franchise. In the items, Clause 3 explains the franchise’s litigation background. 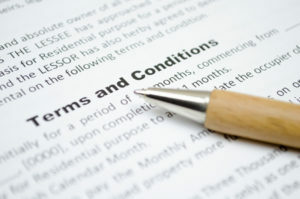 This clause enables you to understand if the business has any legal disputes. The same item discusses the fees you are required to pay including your obligations to the company and your involvement in case you purchase the franchise. The following items direct you to the possible physical location of the franchise once you buy it including all other franchises in service underneath the parent company. This section will also enlighten you on the clauses linked to bankruptcy and termination of the franchise. It is vital to be keen on the clauses as they will guide you in your dealings in the case of cessation of the franchise. Also, understand the application of these restrictions to the franchise you will purchase to guard your relationship with the franchisor. The disclosure document gives important information about the company’s financial status, including audited financial statements. Franchisors are not required to disclose information about potential income or sales, but if they do, the law requires that they have a reasonable basis for their claims and that they make the substantiation for their claims. The disclosure document gives important information about the company’s financial status, including audited financial statements. Franchising has earned its position in the entrepreneurial world. Most franchises are simple to set up as well as maintain. Purchasing a franchise may be fast and easy but challenging if you do not understand the legal terms and conditions binding you to the franchisor. Most disagreements arise when the two parties fail to understand each other hence a breach of contract. Therefore, when you are ready to purchase a franchise make certain to thoroughly read and understand the FDD.